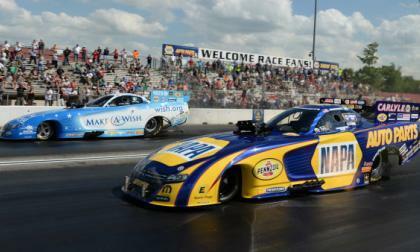 The Dodge Charger funny car teams of Don Schumacher may have gotten off to a slow-ish start for the 2016 Mell Yello Drag Racing Championship series, but this past weekend in New England, Ron Capps gave DSR and Team Mopar their third straight win in the third straight all-Dodge funny car final round. 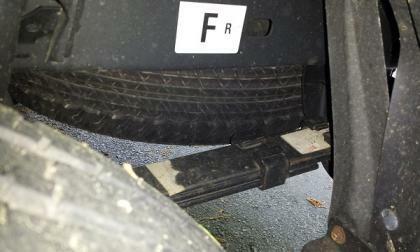 Check out what a Tacoma with a new frame and new leaf springs looks like two years after the replacement. What happens when an automatic update goes haywire? 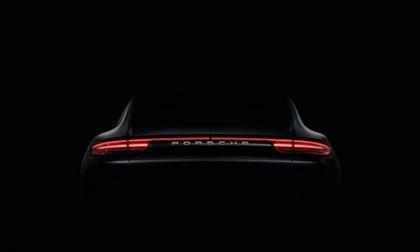 We knew that Porsche would be revealing the next-generation Panamera sometime this year, most likely at the Paris Motor Show. But it appears the German sports car marker is planning to show it sooner. Watch this new video of the 2016 Subaru WRX STI shattering the Isle of Man Record on the first attempt. 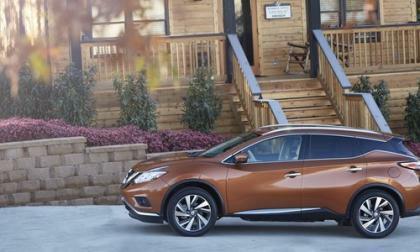 The 2016 Nissan Murano is named "10 Best Family Cars" by Parents magazine and Edmunds. What 4 things stand out? 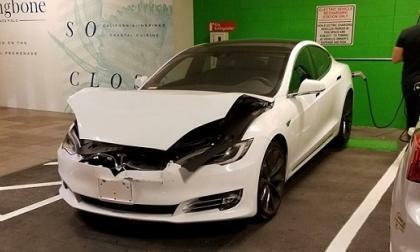 Brand new Tesla Model S appears to be hit from the front, while parked in a Las Vegas Parking hotel charging station. setting the record straight: While Honda News herald's Proctor Racing Group and Honda Performance development Baja Race Truck for winning its class in the SCORE Baja 500, there’s a bit more to the story than that. 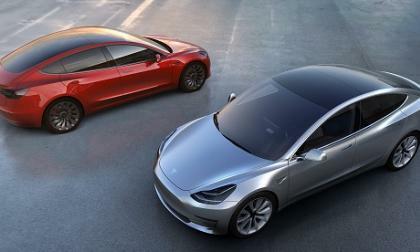 Consider the wait for the Tesla Model 3 there is an idea that perhaps Tesla should contract Nissan to gain production capability. Not have Nissan build the car, but if Nissan took over production capability they could ramp up faster. What do you think? 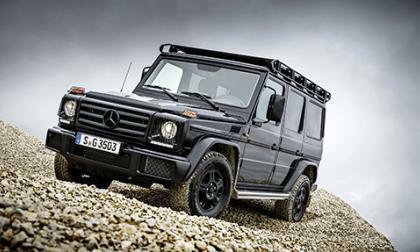 When Mercedes-Benz first introduced the G-Class (known as G-Wagen) back in 1979, it was the German equivalent of the Jeep Wrangler; built to go anywhere in the world, with the barest of creature comforts. 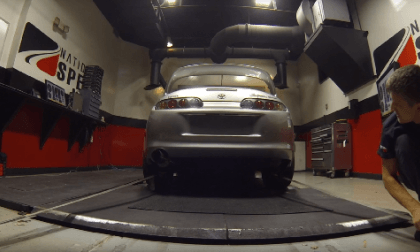 Vlad’s Toyota Supras are legendary. Here’s what his most recent creation runs in the quarter mile and why it is so special. At the present moment, there are seven brands under the Volkswagen Group umbrella that are sold in the U.S. - Audi, Bentley, Bugatti, Ducati (via Audi), Lamborghini, Porsche, and Volkswagen. There is the possibility of an eighth brand coming. 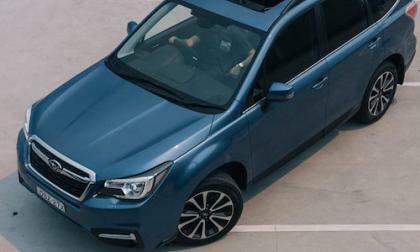 Subaru is setting the little island of Tasmania on fire. What first-ever feat did they accomplish? 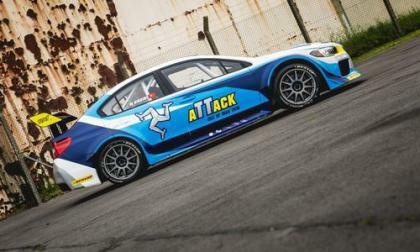 Subaru’s 2016 WRX STI Time Attack car piloted by Mark Higgins set a new lap record at IOM TT. What special tires did they use? 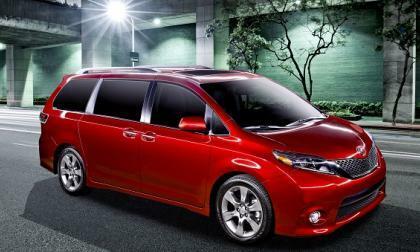 The only AWD minivan earns yet another award. Mercedes-Benz Reveals 2017 E-Class Wagon: What Comes Standard? 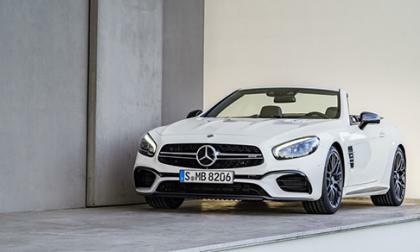 With Mercedes-Benz unveiling the new E-Class sedan earlier this year in Detroit, we knew that it wouldn't be long before we saw the wagon, coupe, and convertible. Today, we got to see one of those variants. 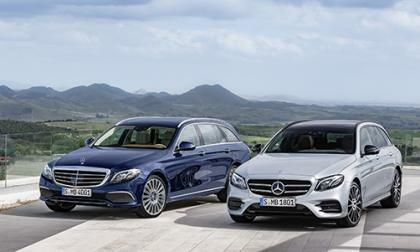 Read more about Mercedes-Benz Reveals 2017 E-Class Wagon: What Comes Standard? It appears that the competition is growing between Tesla Model 3 and Nissan LEAF. 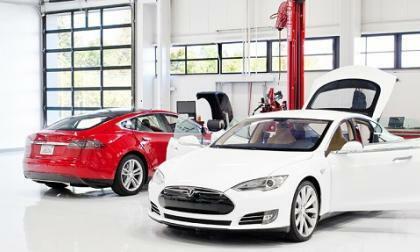 Both are popular electric cars and with Model 3's popularity the question is who will be the first "victim" of Model 3? 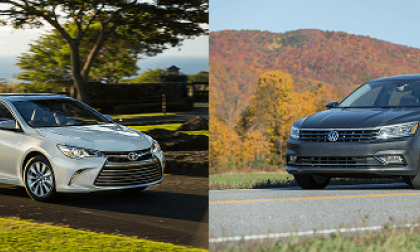 We compare the leader in the midsize class, the 2016 Toyota Camry to a tempting Passat choice from VW America. 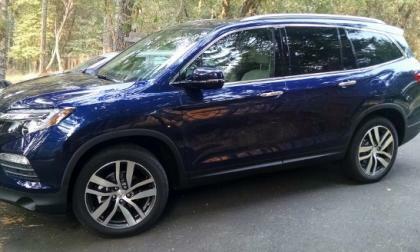 Chinese automakers have a reputation from blatantly copying from other automakers. 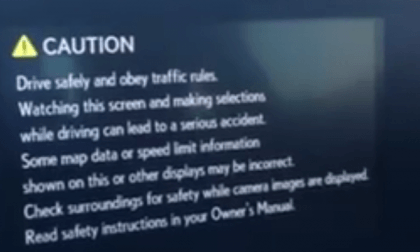 But most automakers don't even bother with taking any sort of legal action. That could be changing. 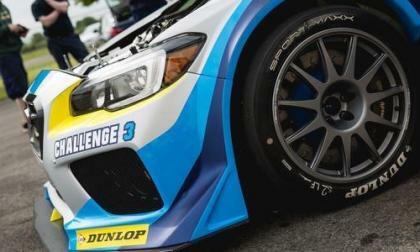 It was Subaru’s first-ever BTCC win. 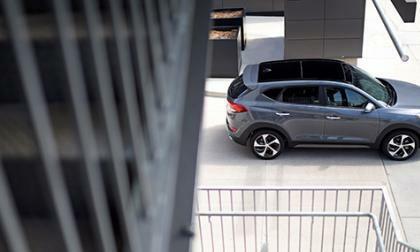 They did it in the rear-drive Levorg sports tourer. Which drivers reached the podium? 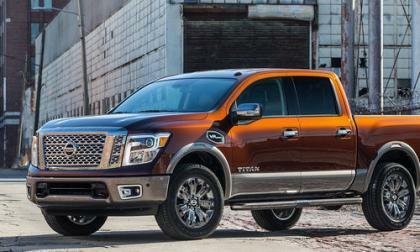 The new 2017 Titan XD Crew Cab half-ton pickup begins arriving in showrooms this summer. Will truck enthusiasts buy it? 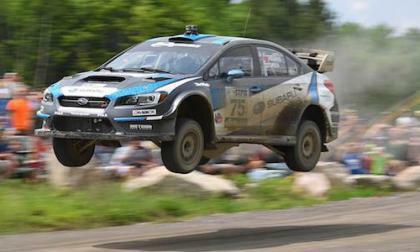 It was David Higgins winning again in the 2016 Subaru WRX STI at STPR. What happened to Pastrana? 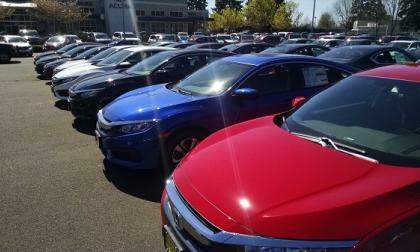 Why is 2016 Honda Civic putting American Honda Motors on track for a record sales year? Every winter, members of the New England Motor Press Association put a group of vehicles through the harsh winter conditions on offer to figure out which ones are the best to handle Mother Nature. 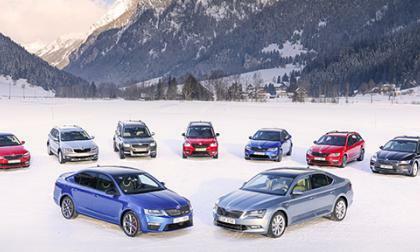 Recently, the association awarded the models that went above and beyond in the cold and snowy conditions. What Is NEMPA's Favorite Luxury Convertible? The New England Motor Press Association every year holds their Ragtop Ramble where members drive the latest crop of convertibles through the New England landscape and figure out which ones stand out. Recently, NEMPA announced their favorites from the ramble. 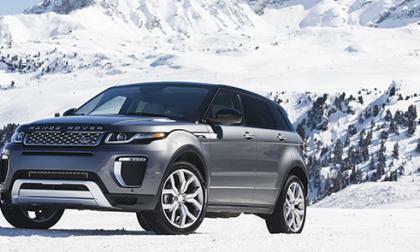 Read more about What Is NEMPA's Favorite Luxury Convertible? 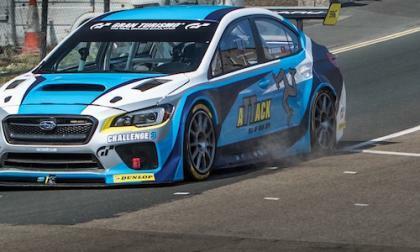 Mark Higgins smashed the record at Isle of Man in the 2016 Subaru WRX STI. How quick was the run? Subaru has a problem. 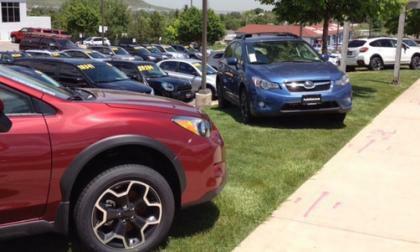 Dealers can’t get enough Forester and Outback models and customers are waiting. How long is the wait? 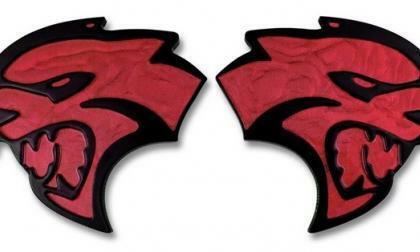 While the market is chock full of companies making unlicensed items for the Hellcat Challenger and Hellcat Charger, the first aftermarket badging approved by the Chrysler Group has hit the web – with these billet aluminum replacement badges coming in every color available on either of the 707hp Dodge muscle cars. 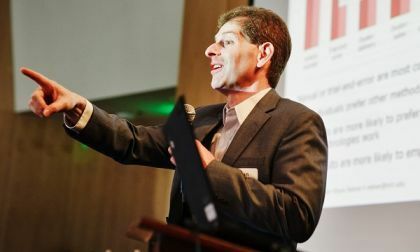 Autonomous vehicle technology offers some drivers significant benefits, but they don’t want it.